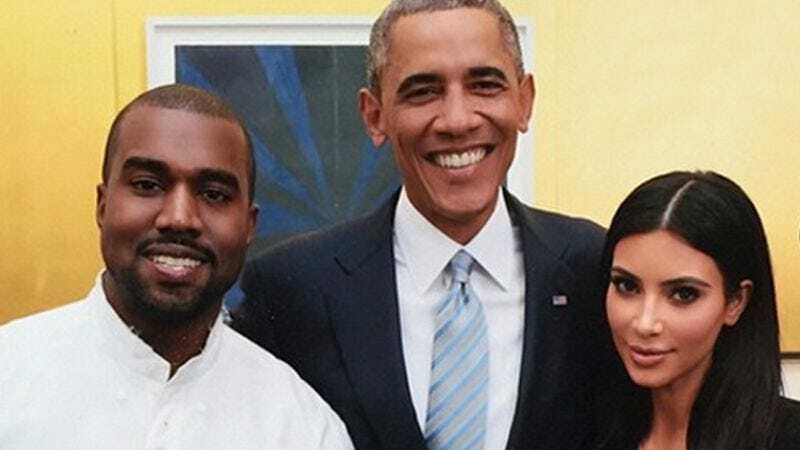 According to Complex, some of this country’s concerned citizenry, not satisfied with a couple of singles and a Steve McQueen video, launched a White House petition to force Kanye West to finally release his much talked-about (mostly by himself) album SWISH. Unfortunately, because executive orders are apparently reserved for boring things like immigration and health initiatives, the petition has already been closed well before hitting its goal of 100,000 signatures. We can probably guess why the fans considered this a viable option. President Obama does hold the highest office in the land, and he was previously made privy to some critical Game Of Thrones information. And while he doesn’t have Kanye’s number programmed into his phone, he has described the artist as “incredibly creative,” so he could be just as anxious to hear SWISH. For now, though, the release date remains a moving target.